Here’s a sweet treat for all of you Bond lovers out there, British sports car maker Aston Martin in partnership with Silver Cross has just released a limited edition baby stroller. That’s right your little bambino can now ride in the lap of luxury! The buggy is tricked out and equipped with a detachable baby carrier, sun shade, rain shield, a shopping basket, a winter foot muff and a slew of other fancy perks. 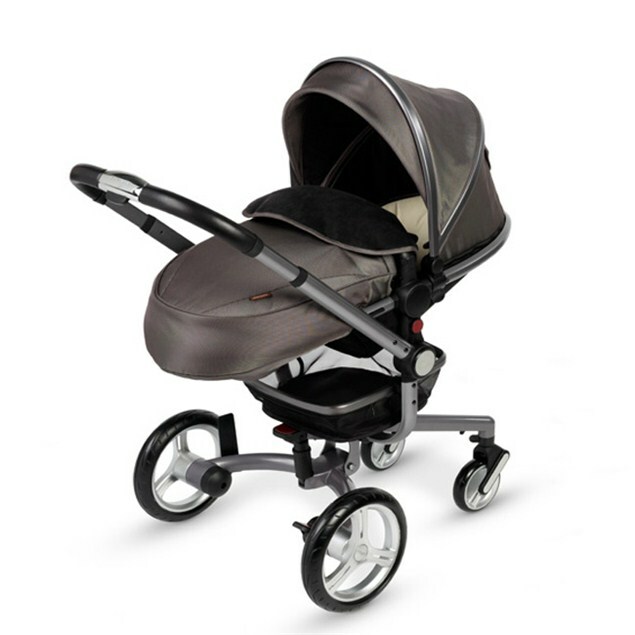 You too can feel like Bond when you grip the handle of the stroller – its made from top of the line Italian leather, the same leather used on the Aston Martin steering wheel. Retailing almost $3000, the Silver Cross Surf, Aston Martin Edition [official name], better hurry only 800 are available. If, you’re in London you can swing by Harrods, the famed department store has the stroller listed on their site. What are you waiting for schedule your next custom look. Photo shoots, prom, parties, event bookings, and so much more. Schedule your next sitting today! Join the party and never miss another awesome post. Never miss out on the fun, sign up now! BlueLillie -Click to enter the shop! !